Note: To access any of the sites listed below, click on the heading. In an health sector or private sector industry? Or are you involved in sciences, governance, social change, humanitarian work, organization change, knowledge management? Then you should check the site out. 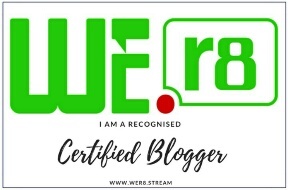 Learning is free and Certificates are also free! Future learn offers high quality online education and learning from top universities and specialist organisations. It also offers a new way to explore several subjects you are passionate about. Learning is free but Certificates are not free. This is my best so far because it relates so much to me and what I do. Digital skills for Africa offers you free tutorials to help you succeed online, from social media to search engines and beyond. Once you sign up and indicate your area of interests, they will set you up with a personal learning plan and it is completely free. Just be prepared to learn! Another awesome learning site. It is an online education center where you enroll in classes and are taught by expert practitioners. Consider it a place to build your career and passions. Not all courses are free here but I got a discount code from an online brand early this year and that enabled me enjoyed to a certain level free and unlimited access to learn. I also think they have this special offer for 30 free days of unlimited access to 16,000 classes for first time people. You should take advantage of it while the offer last! I must confess, Alison is one great place to be! With over 800+ free courses, 1+ Million graduates, 10+ Million users and free online courses from the world's leading experts. At Alison, you will enjoy the freedom to learn and the tools to succeed. Empower yourself! Open Learn has it's own unique function, bringing you free subjects and courses from The Open University to learn and develop yourself. I haven't tried it out yet but I heard it's good one. Not too sure the Certificates are free but you should try it out. edX is a simple and easy learning site that connects it's learners to the best universities and institutions from around the world. They offer free online courses to help advance your career and improve your life. They also provide valuable and professional certificates at the end of a course taken. This site has limited number of free courses but it's also a good one. They provide free and specialized short courses from across the world in a wide range of subject areas. You may want to check them out! A friend of mine recommended this site to me when I began exploring the world of Digital Photography and it's nice but not all free. 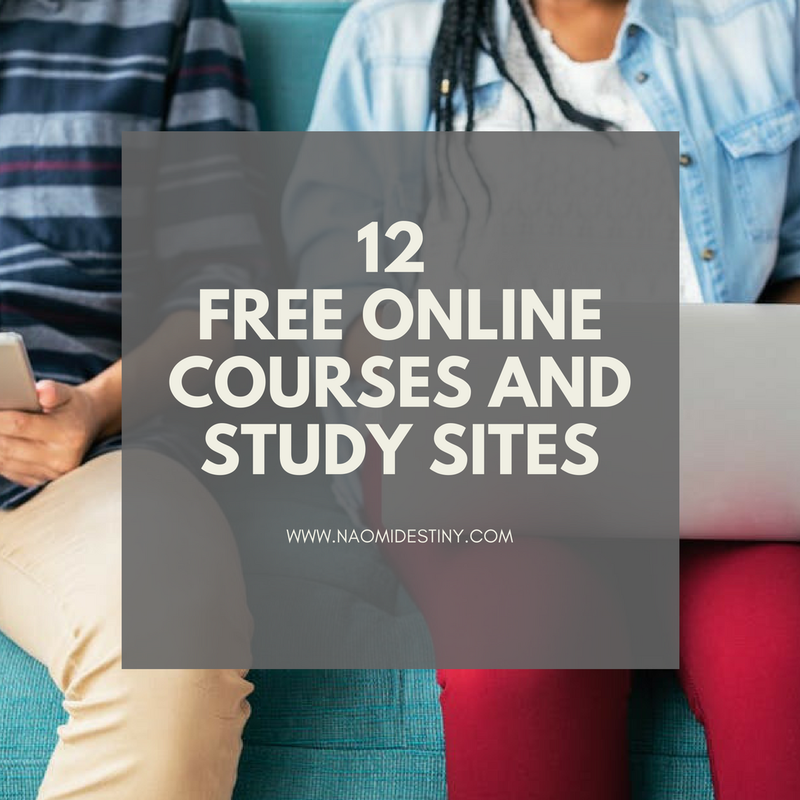 You may have to search for the courses that are free but it's a good study site. If you are into visuals, digital marketing, social entrepreneurship, business, etc. This may be a great place to be! All courses aren't free but you can still find a wide range of free ones. IAI Academy is a new educational platform offering courses from world leading-scholars on the ideas that matter. With a unique philosophical take on today's biggest questions, their courses are made available online, to everyone, for free. I would like to say, it's a place for the matured minds (critical philosophical thinking), don't ask me why! Go see it for yourself! Lol! I love NovoEd! And that's because it's filled with lots of resources and free webinars for the millennial minds and those interested in instructional designs. There you will find training in professional and advanced skills with effective programs rooted in learning science and easy to use social features for change leaders. It's an awesome place to learn from. P:S - I didn't add Coursera.org to the list because most of their courses are quite expensive but if you can afford it, it's a great learning center running over hundreds of amazing courses and specializations from top universities such as Standford and Yale. And there you have it all☺Sure you will find them helpful? Would you love to add to the list? Or ask questions where you are not cleared, please feel free to comment below and I will be sure to answer or reply. Don't forget to like, share, subscribe and comment below. Thanks for stopping by! Very very very helpful! You made it easy for a whole lot of us...thanks a lot! Glad you found them very helpful Funmi. Thanks for reading! I love to learn so I will definitely check this out! Esp the digital skills for Africa with google. Yea you should...I learned quite a lot from it! Thanks for reading Jasmin! There are extremely conspicuous people in the public https://okdissertations.com/writing-services/thesis-proposal eye who dropped out of school at some level. Great list! I am familiar with most of the sites listed here and I am currently signed up for an excel course on edx. You can also add Duolingo (a free app that makes learning foreign languages fun and easy), Codecademy(for programming and web design), Creative live (for creatives and entrepreneurs) and Shaw Academy. Grown-up education learning is something that you should attempt on the off chance that you are considering essay review restoring your vocation or experiencing the profession stepping stool a step higher.